We’ll Get You Smiling and Chewing Again! When your teeth become loose and painful, it is generally due to a condition caused by advanced periodontal disease. Periodontal disease causes bone to be lost and if not caught in time, there is little support left for the teeth and they may have to be removed. Removing your teeth and replacing them with a denture may be the best way to eliminate the infection and restore the health of your mouth. When the entire procedure is completed in one day, it’s called an immediate denture. To begin the process, Dr. Heidari will first take an impression of your mouth. From these impressions, precise working models of your mouth are made. It’s from these models that the dentures are made. We’ll work with you to select the best color and shape for your new teeth. When your denture is ready, we’ll extract your remaining teeth. You’ll be thoroughly numbed and sedated before any teeth are removed, and the process will be relatively pain-free. As soon as your teeth are out, your denture will immediately be placed in your mouth. A lower partial denture is often a good method for replacing missing teeth. When remaining teeth are saved and a partial denture installed, a person will chew better and have a healthier mouth. This is a typical lower denture partial which stops several problems. By filling in spaces, it stops neighboring teeth from shifting. When missing teeth aren’t replaced, this can set off a chain reaction that can result in cavities and periodontal disease. A partial denture also helps to balance a person’s bite. This means better chewing and a healthier jaw joint. Partials also add support to the cheeks and lips. This support is necessary for clear speaking and good facial structure. While nobody ever wants to lose their teeth, dentures and partial dentures can be a solution if you have lost your teeth due to infection or trauma. Learn more about our dentures and partials by calling our Palo Alto dentistry office at 650.327.7525 or send an email to APPT@PaloAltoDentistry.com. Please feel free to visit our San Jose dentures and partials page or contact us at our office there at 408.999.0444. 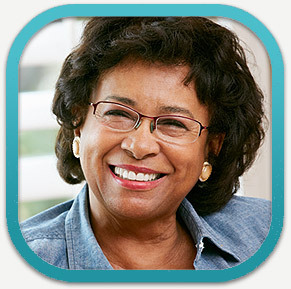 We invite you to visit our Aptos dentures page or give us a call at 831.688.6531.